If you are looking for Dedicated Divorce Lawyers near Bothwell, please get in touch. Our main office is located in Uddingston and we would be happy to meet you at a convenient location/time. Alternatively we can speak to you via FaceTime or Skype. If you are in the Bothwell area and you need our support and guidance through a divorce or family separation, please get in touch we are here to help. We can guide you through the law and process of any divorce or separation. 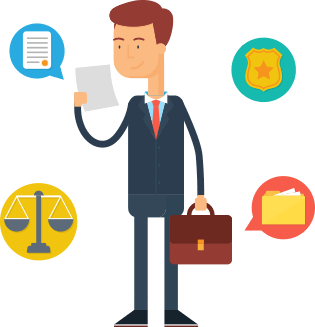 We cater to our client’s individual needs and treat and respect each case on its own merits – no one case is the same as another. We understand and respect that each situation id different and we give each case our undivided attention, time and care. Our highly experienced team of Divorce Solicitors and Lawyers are on hand to provide expert advice and sound knowledge of every aspect of the law concerning your individual case, ensuring you are in the best possible position going into any divorce proceedings. We understand it can be a stressful and unpleasant time in your life and we will do our utmost to make you feel at ease in the understanding that you have the best support possible behind you. Our Expert Divorce Lawyers and Solicitors will ease the stress and worry throughout the entire processes keeping you informed and giving you full support every step of the way. Rooney Family Law practice throughout Bothwell and its surrounding areas and offer free initial consultation appointments where we will outline everything you need to know and show you what we can do for you should you wish to go ahead with ‘Rooney Family Law’ on your side. You can arrange to come into our offices or we can come to you, whatever suits your circumstances best – it is always worth giving us a call to discuss your situation in full privacy and confidentiality we operate under the utmost discretion. We specialise in Family law and have many years of experience in our field of expertise. We are an established organisation with a well established and proven track record that you can trust and rely upon, we are here to help and guide you through every step of the way. Our team of Expert Divorce Lawyers and Solicitors are some of the best in their field and profession and are available to you whenever you need them.